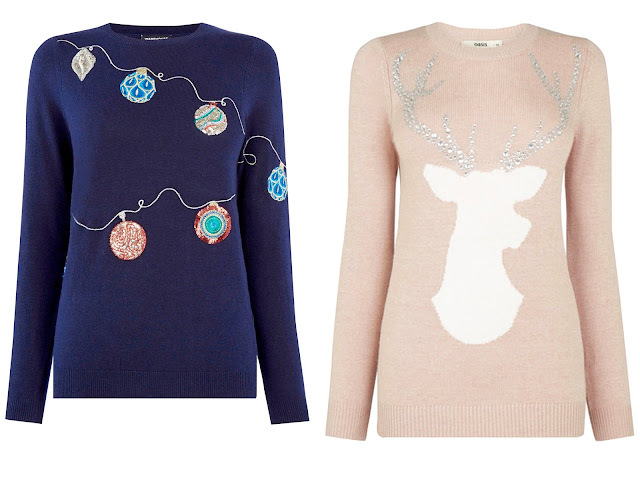 It wouldn't be Christmas without some novelty knitwear. 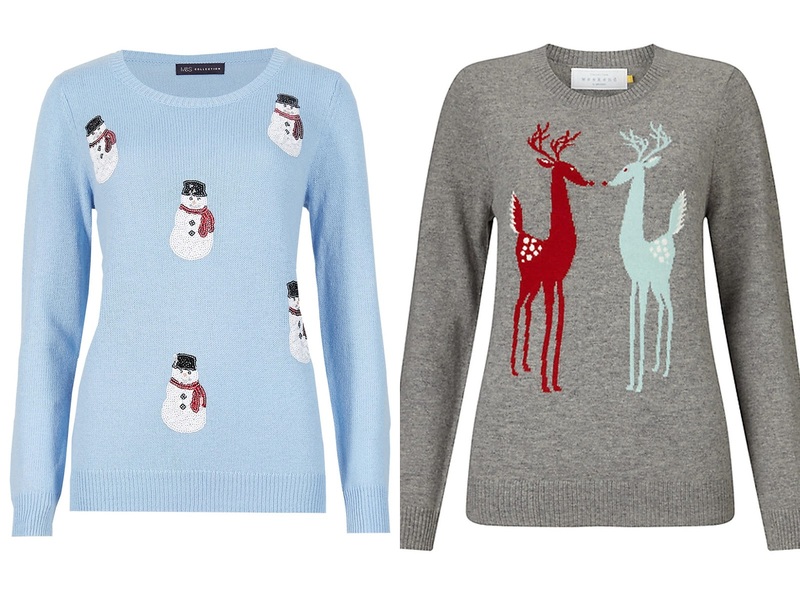 I've seen some really cute Christmas jumpers on the high street over the last few weeks. Christmas Jumper Day takes place on Friday 18th December this year with everyone being encouraged to wear their favourite festive knit to school or work to raise money in support of Save the Children, Macmillan Cancer Support and Make - A - Wish UK. 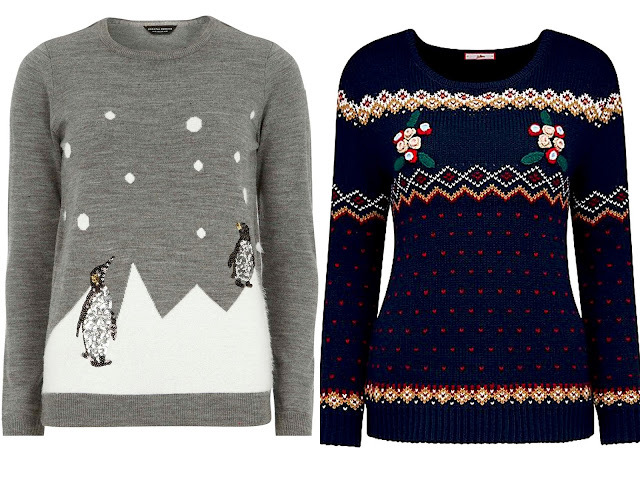 Even if you're not at work on Friday you could still take part by wearing your Christmas jumper and make a donation. The Text Santa appeal will be live on ITV1 on Friday evening from 8.00pm. The baubles jumper from Warehouse is one of the nicest festive jumpers I've seen. 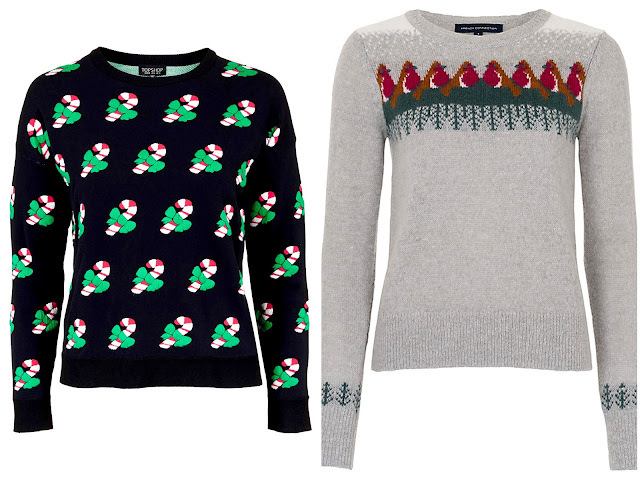 I'd happily wear this throughout the holidays! I really like the sweat shirt style design of the 'Let it Snow' jumper from M&S. It looks really comfy if you're looking for something different from a traditional knit. 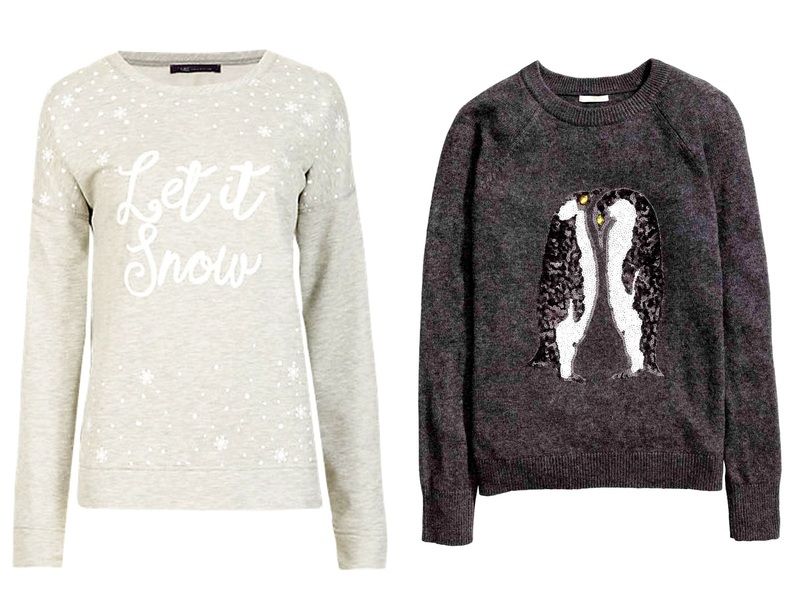 There's lots of sequins and sparkles if you're looking to jazz up a pair of jeans with a festive jumper, the H&M and Dorothy Perkins jumpers both feature sequin embellished penguins to keep you sparkling throughout the season.